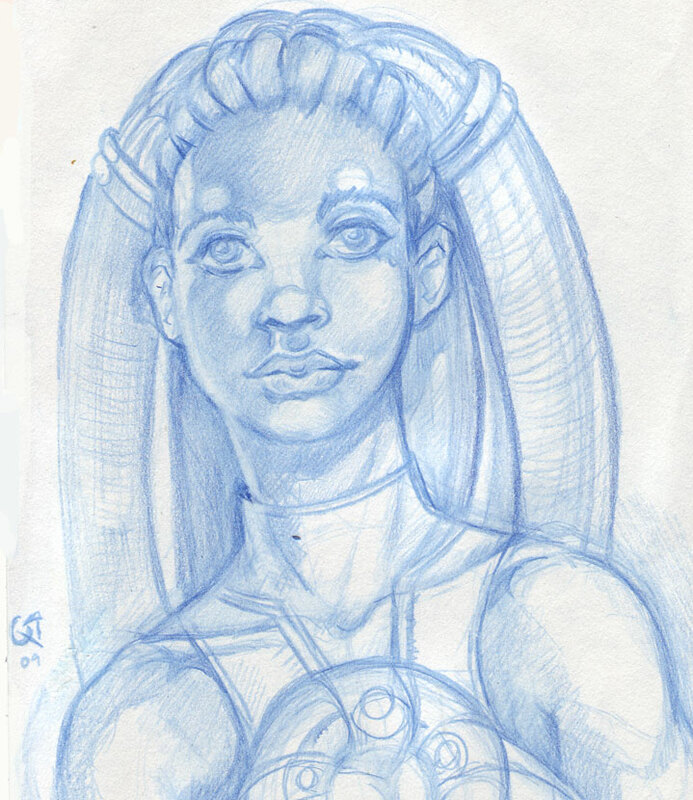 While it’s fairly responsive and glides rather well, I was still curious if there was better. 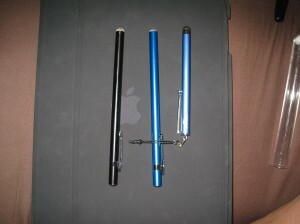 I also at that time bought 2 stylus pens from a company called iFaraday – http://ifaraday.com/ I found these interesting. I do like the iFaraday ones. I had purchased 2 to see how they performed. 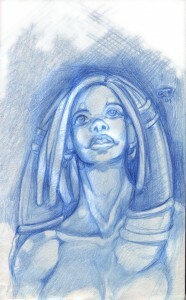 The firmer feel one is in blue, and the regular dome for artists was in black. 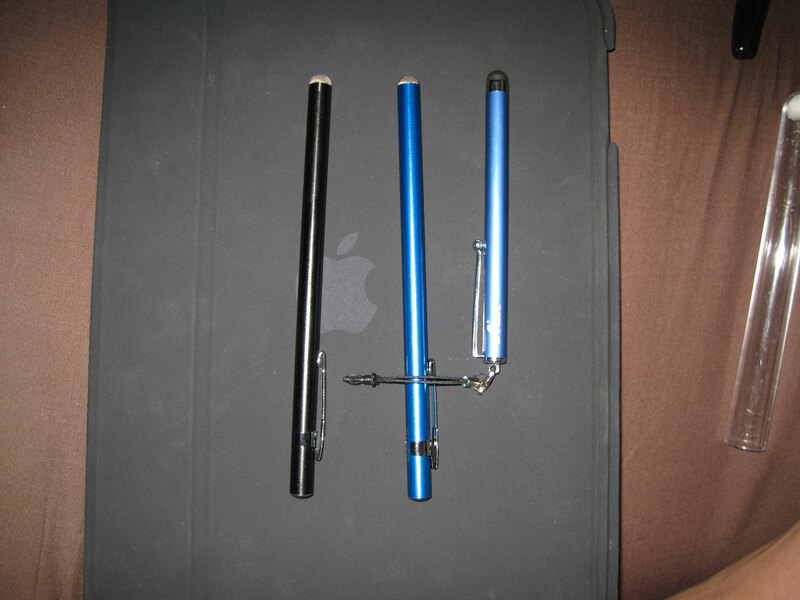 The responsiveness of the black one is amazing. I can use a feather touch and get a response. The blue one takes a bit more work but doesn’t feel streaky. The above shows you how they arrived. The iFaraday were in test tubes, which was pretty cute. There was foam inside the tube at the bottom to keep the tip safe. 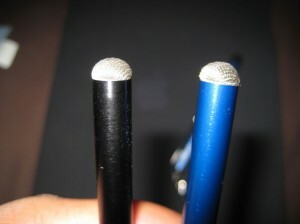 Here you can see the size difference between the iFaraday and Acase. 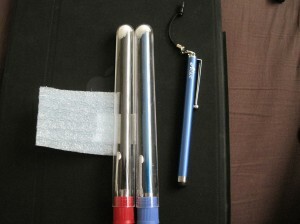 Here are the two tips of iFaraday. 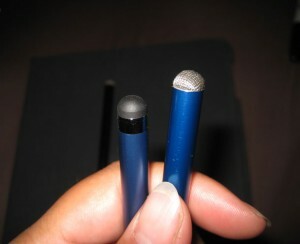 The black one has great responsiveness to the lightest touch while the blue one has a firmer feel. 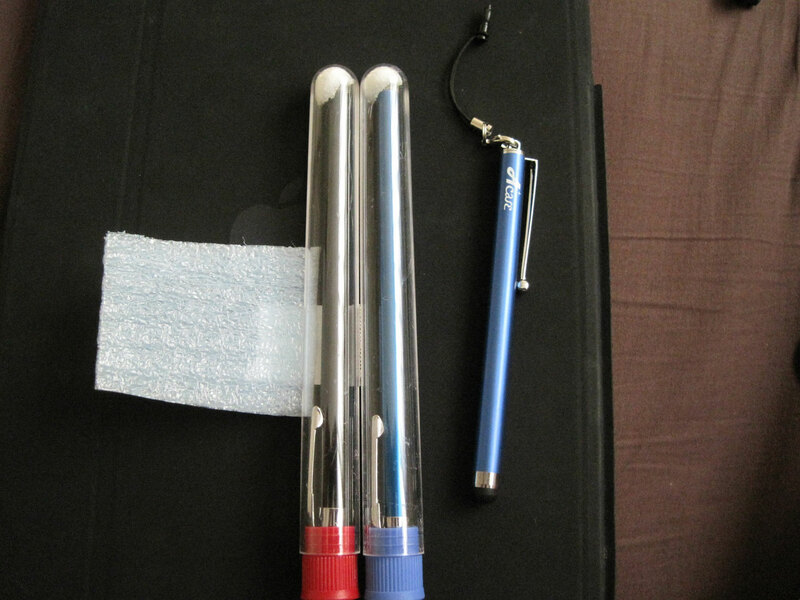 Both were the same price of $14-15 dollars so they’re comparable in price to other stylus since Acase is almost the same price when not on sale.